My preference is for polycarbonate (PC) for impact resistance (my prescription eyeglasses are polycarbonate). Trivia: due to its light weight and high impact resistance, polycarbonate is the dominant material for making automotive headlamp lenses. 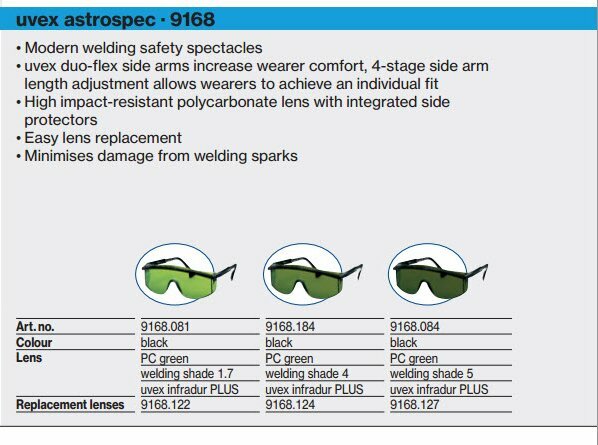 If you take a look at page 50 of the Uvex Safety Eyewear, you will see that these safety glasses are offered in three different shades: 1.7 and 4 and 5. 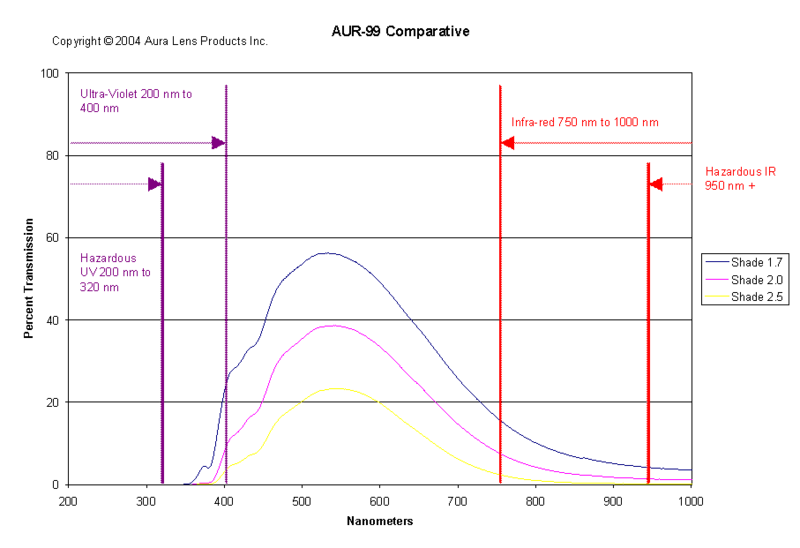 From my Google searches, it seemed like there were a LOT of shade 3 welding glasses and also shade 5 welding glasses, but not many which had increased visible light transmission (VLT) in the range of shade 1.7 through shade 2. 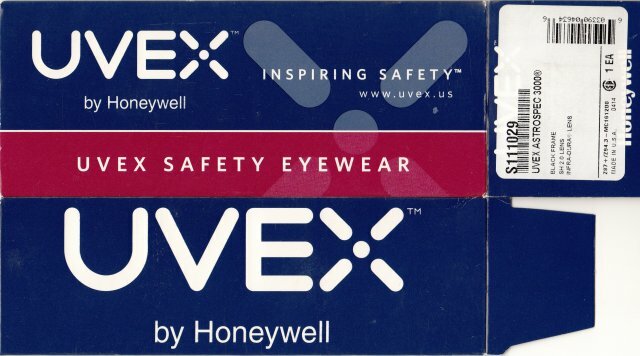 The box these Uvex Shade 2 Astrospec safety glasses arrived in says “Uvex by Honeywell”, and Honeywell is a company I trust. I have been using my Uvex Shade 2 for my glassblowing for several weeks now. My one additional suggestion is to consider microfiber cleaning cloths to remove fingerprints etc. I researched microfiber cleaning cloths on Amazon, and really liked MagicFiber’s Premium Microfiber Cleaning Cloths which have an amazing 4.9 out of 5.0 rating from over 3,600 customer reviews! I can’t think of any other product on Amazon which has gotten so many uniformly positive reviews! And also available with Amazon’s free shipping offer. These are of course my personal opinions, YMMV, each person should carefully evaluate their own specific needs and requirements for safety equipment.